After dropping off our son at his frisbee practice, we went for breakfast at The Breakfast Table. 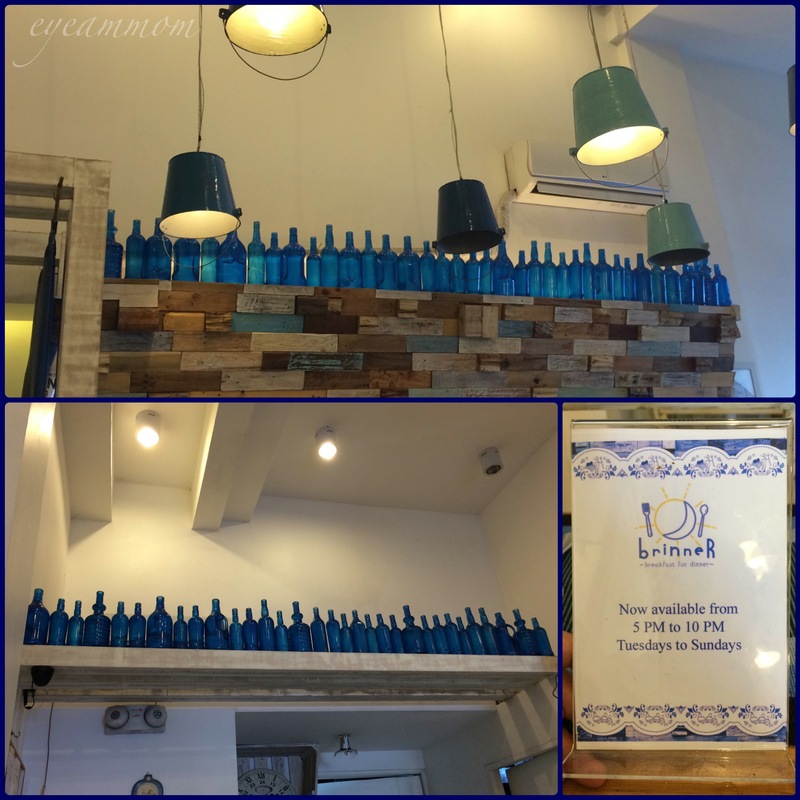 The Breakfast Table is one of the many restaurants along Maginhawa St. in Quezon City. I like the decor of the place. The color scheme of blue and white reminded me of Mykonos. The restaurant is small, but it doesn’t feel cramped because of the high ceiling and white walls. Their menu shows a lot of breakfast options. 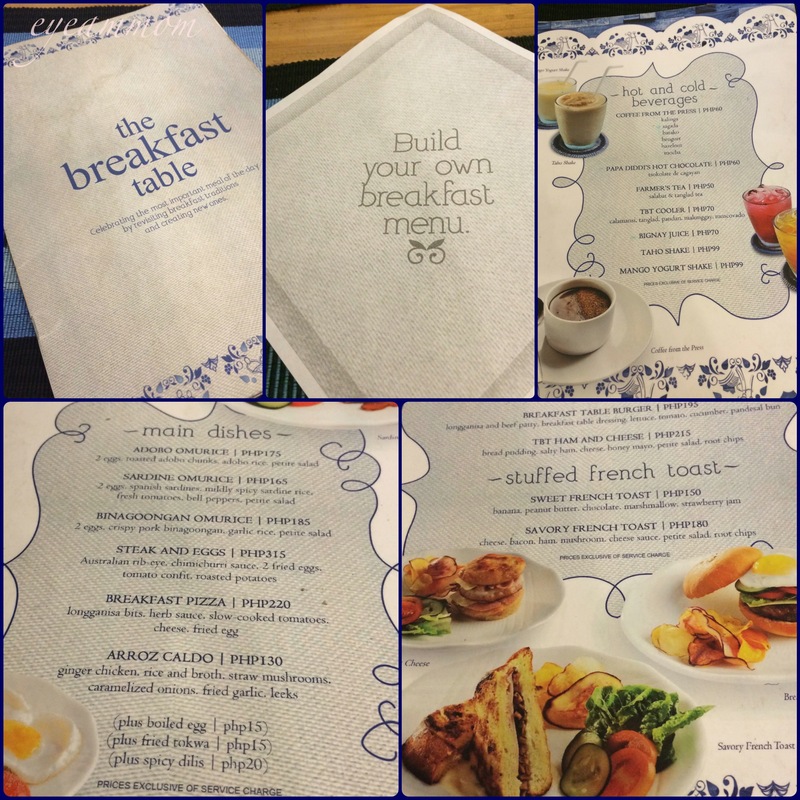 Aside from the ones printed on the menu, they also offer a “build your own breakfast” menu. Here you can choose which kind of rice you want (plain, sardine, coffee or garlic rice), how you want your eggs cooked (fried, scrambled, boiled, salted or poached), which main dish you will have (Tuguegarao/Vigan/Cabanatuan/Chicken/Baguio longganisa, tocino, danggit, pusit, bangus tinapa, daing na bangus or beef tapa), plus a side dish. Each item is priced individually, so you can have more control of your choices. I like this kind of menu, so we can have exactly what we want and not waste anything. 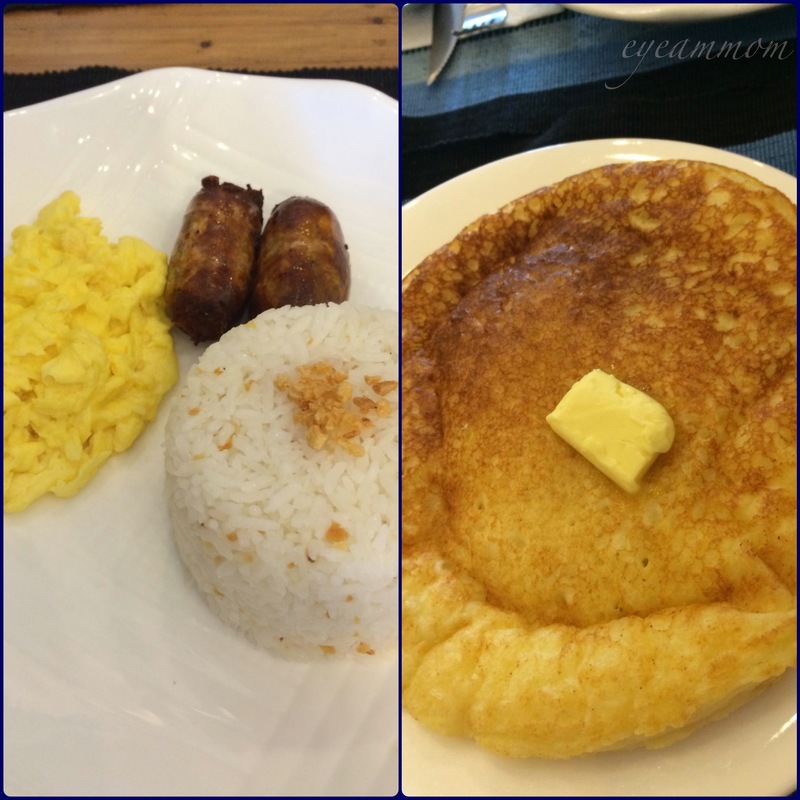 We ordered the Vigan and Tuguegarao longganisa plus the pancake. I also had the TBT cooler – a refreshing drink made with calamansi, tanglad, pandan, malunggay and muscovado. It was a welcome relief from the summer heat! The pancake was huge! It was fluffy and not too sweet. I just wish they offered a side of bacon or sausage to go with it. The serving size of the longganisa, on the other hand, was too small. Only two small pieces per order. We had to ask for an additional order of longganisa, which my husband and I shared. The food was okay. Prices are very affordable. Parking can be a problem, like with most establishments in Maginhawa Street. This entry was posted in Food, Life in the Metro and tagged breakfast, Maginhawa St., The Breakfast Table. Bookmark the permalink.